Tourists like to visit Indonesia's Sanur Beach in Bali for its golden sand, tranquil water and luxury hotels. But one day in 2009, this popular tourist beach turned ugly: Balinese government officials marched onto the sand and started hitting local dogs with poison darts laced with the deadly compound strychnine. Beachgoers watched in horror as dozens of dogs fell to the ground, foamed at the mouth and started convulsing with seizures. When a group of tourists begged for the attack to stop, the officials said they couldn't, and that they had orders to kill every dog in the area to make sure rabies didn't spread. As this killing was taking place, a quick-thinking Dutch tourist draped a beach towel over a dappled chocolate dog who had been sitting with him, and amazingly, the dog stayed still for well over an hour until the kill squad left. 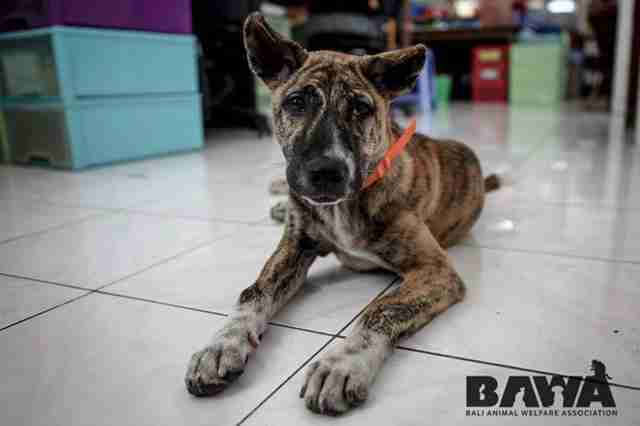 Fearing the government officials would soon return, the Dutch tourist phoned Ebony Owens at the Bali Dog Adoption and Rehabilitation Centre (BARC), asking her to come rescue the dog. When Owens arrived, the dog was shaking and initially scurried away from her, but she eventually coaxed him into her car. Then Owens drove the dog to safety at BARC's rehabilitation center in Ubud, naming him Sanur for the beach where he'd lived. Now, Sanur spends his days wagging his tail for tourists and bossing around the other rescue dogs at BARC's two-and-a-half-acre animal sanctuary. Sanur had a lucky escape, but other Balinese dogs haven't been so fortunate. Bali dogs are indigenous canines who have lived in the streets and villages of Bali for over 5,000 years. They're medium-sized dogs characterized by short fur, upright ears and thin, sickle-shaped tails. Yet because of the Bali dogs' genetic diversity, they may have black, white, brown, golden or gray fur, and exhibit different ear and tail types. When rabies first appeared in Bali in 2008, the government started poisoning hundreds of thousands of Bali dogs, claiming it was the only way to protect human life. 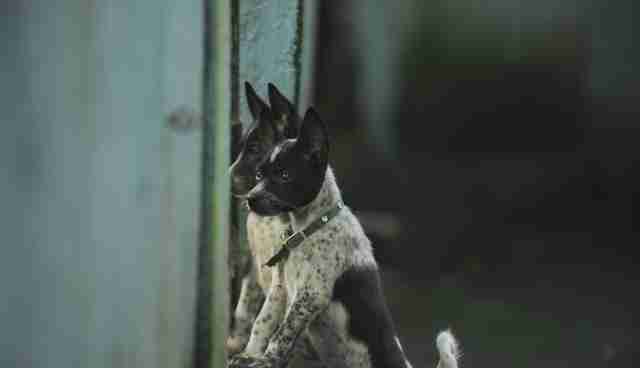 Janice Girardi, the founder of the Bali Animal Welfare Association (BAWA), believes that the culls have reduced the pure Bali dog population from 600,000 in 2008 to about 175,000 individuals in 2015. Now, after 12 reported human deaths from rabies in 2015, compared to two in 2014, Balinese Governor Made Mangku Pastika has announced another aggressive dog cull, which means that thousands more dogs could suffer cruel, painful deaths. Rabies, of course, is a serious disease that is dangerous to humans, dogs and any other warm-blooded animals. But rabies isn't as prevalent in Bali as locals and tourists seem to believe. When I visited Bali earlier this year, I was surprised how often "rabies" entered any conversation regarding the local dogs. Linda Buller, the founder of BARC, explains that in the 10 years she's been rescuing Bali dogs, she's come across only one rabid dog. "A woman gave me a dog once, and it seemed very uncomfortable," she says. "It kept barking and didn't want to do what it was told. That's the only dog I know for sure had rabies." Regardless, Buller believes that poisoning dogs is not the solution to eliminating rabies from Bali. "All the health organizations in the world agree that the way to stop this disease is to vaccinate all dogs," Buller says. Any dog who comes into BARC's care is neutered and vaccinated at no cost to the Balinese community, she says. In BARC's 10 years of operation, they've sterilized 18,000 dogs and vaccinated nearly 30,000. 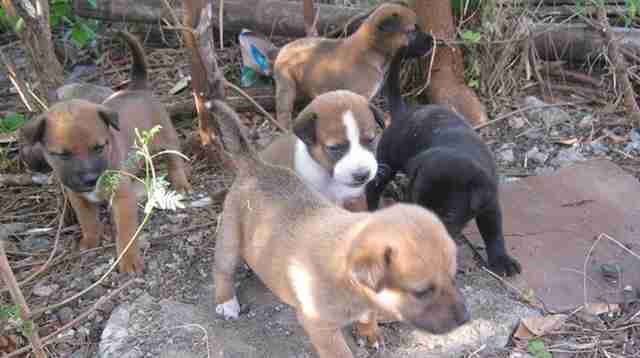 BAWA is another organization in Bali that offers free sterilization and vaccination for dogs. In 2010, BAWA was even appointed by the Balinese government to manage the first phase of an island-wide vaccination program, which Girardi says reduced rabies in dogs by 78 percent. Human rabies deaths also decreased, dropping over 95 percent within a three-year period. "Clearly the vaccination program worked," Girardi says. Girardi also points out that vaccinating 70 percent of dogs in an area creates "herd immunity" that slows - and even stops - the spread of rabies. "The vaccinated Bali dog is the 'warrior' dog with herd immunity," Girardi says. "This is what protects dog populations and human communities from rabies and other diseases." Despite hard evidence of the effectiveness of mass vaccination, the Balinese government continues poisoning dogs. A local Balinese animal activist who goes by the name "Ajiq the Bullhead" says that he believes the government has a different motive to murder Bali dogs. "I don't think the government wants to solve the rabies problem," he says. "I think the government wants to make Bali more modern to increase tourism." While many tourists adore the Bali dogs who wander along the streets and beaches, Ajiq says the government views the dogs as unsightly and a nuisance to tourists. It's not just government officials doing the killing. Ajiq says that local groups often go out to hunt dogs, and are financially rewarded by the government for every dog they kill. This may explain why kill squads poison healthy, vaccinated dogs - even dogs wearing government-issued collars indicating their vaccination status. Girardi claims that killers even target dogs normally confined inside private properties. Innumerable reports have emerged of family dogs being poisoned with toxic meat strategically placed outside the front door, or being hit with strychnine poison darts when they wander onto the street. "One of my staff recently had his dog poisoned, just because it went outside the gate," Girardi says. 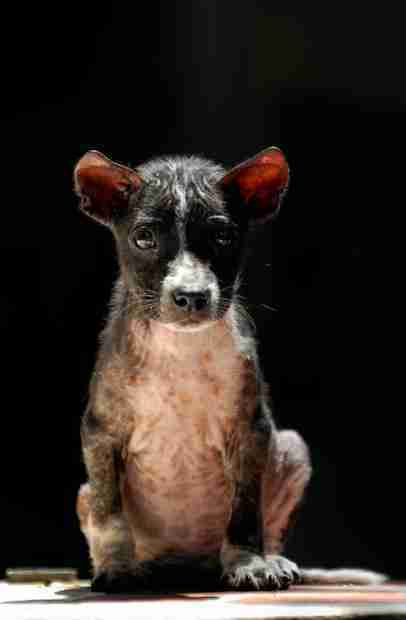 "It was vaccinated three times, sterilized and loved. The dog was even wearing a collar." While it is sometimes possible to reverse the effects of strychnine, poisoned dogs require immediate veterinary care, and rescuers often have trouble getting to these dogs in time. It is also believed that the Balinese government has started using higher doses of strychnine that kill dogs within minutes. Mass dog killings are enough to upset any animal lover, but the loss of the Bali dog would also be a loss to science and culture. What many people don't realize is that the Bali dog is an indigenous dog who lived in harmony with the Balinese people for over 5,000 years. Genetic research conducted by the University of California-Davis has even suggested that the ancestry of the Bali dog can be traced back 15,000 years, making them the oldest dogs on earth. Dr. Nils C. Pederson explained in Lawrence Blair's film, "Bali: Island of Dogs," that the Bali dog has one of the richest gene pools in the canine world, and the Bali dog could be very valuable to understanding the modern dog's lineage. You don't need to be a scientist to appreciate the remarkable nature of the Balinese dog. When I was in Bali, I had the privilege of spending time with some dogs in BARC's rehabilitation clinic. I played with adorable white puppies who kept climbing up and over their enclosure. A couple of dogs had been paralyzed from the waist down after being hit by cars, and I watched in amazement as they moved around at the same pace as their able-bodied companions. One of the most special moments was getting kisses from a brown-eared dog named Patchy who had also been hit by a car. Patchy had every reason not to trust humans, but he still gave me his love and affection. "The courage they have is really amazing, and their intelligence is incredible," Buller says. "Balinese dogs are loyal, loving and protective of their areas - all the things you'd want to have in a best friend. They're special animals." Unfortunately, special animals like Patchy and Sanur could disappear within years if the government does not cease its culls and give the Bali dog the protection he deserves. Other threats to the Bali dog include interbreeding with imported Western dogs, and more distressingly, the Balinese dog meat industry, which claims almost 100,000 lives a year, according to long-term investigative research conducted by BAWA. So what are the solutions? Besides island-wide vaccination programs, Buller argues that the Balinese government needs to rescind their dog cull programs and start taking animal protection seriously. "The way they're killing these dogs is inhumane," Buller says. "I'd like everyone to know what's going on here, and to ask the Indonesian president to interfere. Dogs are our best friends. They protect us, and now they need our protection." Help Bali dogs like Sanur by asking Governor Pastika to stop poisoning dogs to death here. 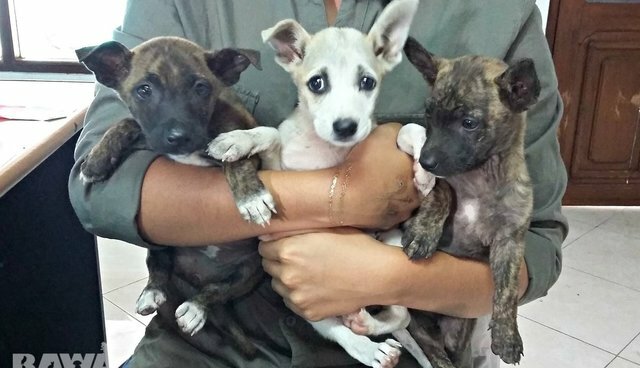 You can also support the rescue, rehabilitation and adoption of Bali dogs by supporting BARC and BAWA.